Civica Rx Formed By Hospitals To Make Drugs At Predictable Prices : Shots - Health News A consortium of hospital systems and three foundations is moving ahead with a nonprofit drugmaker that would produce some of the generic medicines health care facilities need the most. 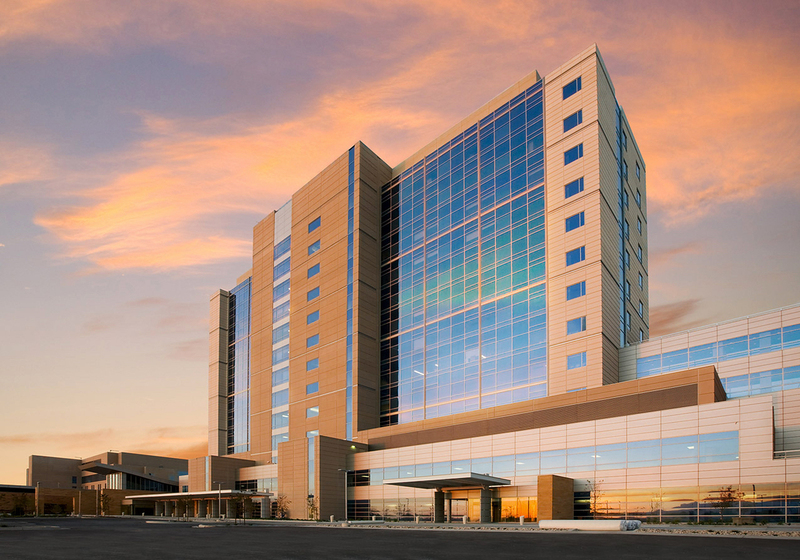 Intermountain Healthcare, whose Intermountain Medical Center Patient Tower in Murray, Utah, is seen here, is a leader in the generic drug company being launched by hospitals. Hospital purchasing agents keep searching for new sources for the medications that patients need, while clinicians scramble to find alternatives. "Every day at Intermountain we manage more than 100 drug shortages, and most of them are generics," said Dr. Marc Harrison, president and CEO of Intermountain Healthcare, a system of 22 hospitals based in Salt Lake City. "The impact on patient care, in terms of trying to find alternatives and scurrying around and trying to find necessary drugs, is incredibly time-consuming and disconcerting." Now Intermountain, along with several other major hospital systems and philanthropies, is taking the problem in hand. They are launching a nonprofit, generic drug company to help fight rising costs and chronic shortages. The company, called Civica Rx, will be independent. 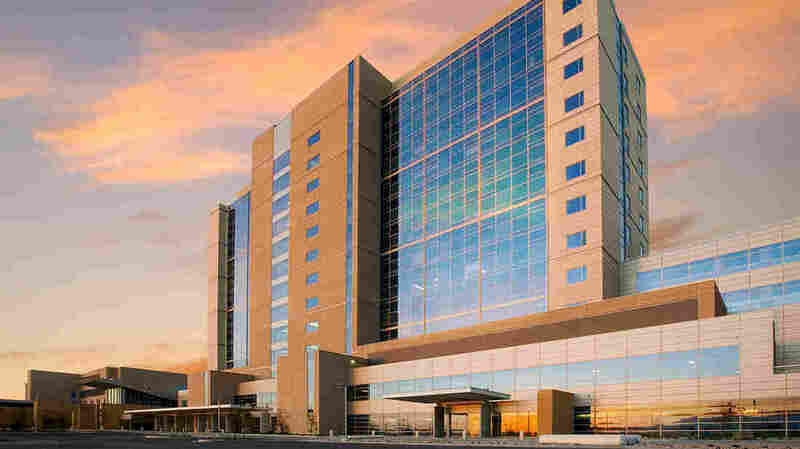 But the board will include so-called governing members that include Intermountain, the Mayo Clinic, and for-profit HCA Healthcare, among others. The companies are unveiling the new venture's name, structure and leadership on Thursday. The intention to start it was announced in January. The new company plans to market 14 common generic drugs that have been in short supply and whose prices have risen in recent years. Harrison declined to name the drugs. "As we decided on the drugs we were really practical," Harrison said in an interview. "We looked for drugs that were now in short supply. We looked for drugs that were on the lists of essential medications, and we looked for drugs that have had huge spikes in their prices." Drug shortages have become so widespread that Food and Drug Administration Commissioner Scott Gottlieb in July created a task force to come up with solutions. And last year the Justice Department, along with 45 states, accused a group of generic drug makers of price fixing. David Mitchell, founder of the advocacy group Patients for Affordable Drugs, says the nonprofit idea is good, but the impact will depend on which drugs the new venture decides to make. "If they take on very expensive drugs for rare diseases and for which there is no competition ... that's good. If it is to compete where there is already competition and lower prices, that's not as good," he said. Civica Rx will begin applying to the FDA as soon as early 2019 to make and sell the new generics, Harrison said. And the company will likely start out by contracting with existing manufacturers to make the medications under its label. Eventually though, it could buy manufacturing facilities of its own. The Association for Accessible Medicines, a trade group for generic drug makers, said in a statement that it "welcomes into the generic drug manufacturing community any entity that shares our commitment to bring safe, effective and affordable treatment options to patients, providers and payers." Civica Rx is getting seed money from the founding hospital systems, as well as from three foundations: the Laura and John Arnold Foundation, the Peterson Center on Healthcare and the Gary and Mary West Foundation. The company's CEO will be former Amgen executive Martin Van Trieste. The nonprofit generic company is the brainchild of Dan Liljenquist, senior vice president and chief strategy officer at Intermountain. He says production of some generics has become so concentrated that companies have monopoly power over essential medications. And since they've already covered their manufacturing and development costs, they can use that power to keep competitors out. "They can lower their prices until that new competitor leaves and then raise it back up again," Liljenquist said during a panel discussion in June. To fight that power, Civica Rx will require hospitals to commit to long-term contracts to buy the medications at fixed prices, even if another generic company drops its prices lower. Liljenquist argues that the long-term stability will be more attractive than the short-term temptation of getting a deal. Early indications suggest he's right. About 120 health care companies that represent about a third of U.S. hospitals have contacted the organizers of Civica Rx to ask about getting in on the deal, Harrison said. He said unscrupulous generic drug companies should be on guard. "There are a lot of very principled generic drug makers out there and who sell drugs at reasonable prices and make them in adequate supplies," Harrison said. "They have nothing to worry about. They're friends. They're good colleagues. But the less principled companies should take notice. "The folks who are gouging people and creating shortages, they know who they are," he said. "And they're the ones who should be very concerned."